The Flora Temple is located within the historic parks of Wörlitz in the Dessau-Wörlitz Garden Realm. 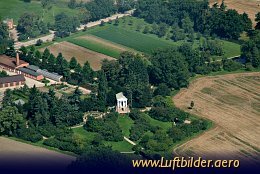 The temple was built by Friedrich Wilhelm von Erdmannsdorf between 1797 and 1798. Erdmannsdorf is one of the earliest architects of the German Neoclassic.